Memories are great, but photos make a great accessory to help visualize your memory of a time that was obviously fun enough that someone took a picture to, more-or-less, immortalize the moment. Photos help us hold on to memories and keep loved ones close by even when they’re far away. Today is National Camera Day! Read on to learn how cameras were invented. These captured images have come quite a long way from their early days of playing with light exposure to the current digital age where people’s cell phones typically have a high-quality, built-in camera. This technology was tinkered with for a long time. Inverted images that shown upside-down (commonly referred to as a Camera Obscura) had been a point of interest for many years—potentially since the ancient Greeks. 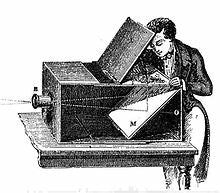 It was in 1816 that the first somewhat successful photograph was produced by a French inventor named Nicéphore Niépce. He made his own camera and coated a piece of paper with sliver chloride to use for the photograph. In the chemistry world, silver chloride is known for its crafty conversion to silver when illuminated or exposed to heat. It darkens when exposed to light. Absolutely intriguing stuff! This technology was played with and eventually made for the market. 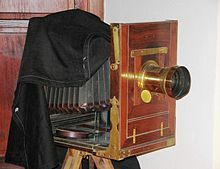 By the 1840s, cameras became a commercial item, available to the public. Transforming from a wooden box to a more ‘handheld’ design, cameras have continued to evolve in our present day. From disposable to digital, cameras have really evolved throughout the years. 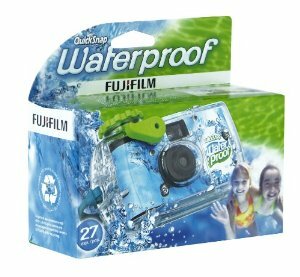 You can find great cameras for your summer adventures right here at Everything Summer Camp like the Fujifilm Quicksnap Waterproof Camera and the Kodak Fun Saver Camera. Treasure your camp memories forever in our fantastic Three Cheers Photo Book or the appropriate Summer Camp Photo Frame. Check it all out right here and, as always, thanks for reading!